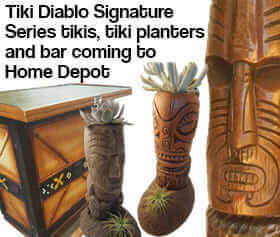 Home » Other Rooms » tiki and bars » Arizona Tiki Oasis — talking tiki decor April 13! Arizona Tiki Oasis — talking tiki decor April 13! Tiki Oasis Arizona, here I come! Will I see you there, too: The event still has tickets, get ’em while the getting is good! When I heard about this all-new sister event to Tiki Oasis, to be held April 12-14 in Scottsdale, I submitted a seminar proposal faster than you can say “Mai Tai”. And howdy hudee, it was accepted. My talk: “Create a World of Tiki in Your Home”. Baby Doe von Stroheim and Otto von Stroheim, famed producers of long-running Tiki Oasis in San Diego, are producing this new sister event. It will be held in one of the best preserved midcentury hotels in America, the Hotel Valley Ho, established in 1956. Back in the day, the Hotel Valley Ho was a hot spot for movie stars and all manner of glitterati. Today’s tiki world glitterati look to be lining up, too, to be at this inaugural event, with the press release mentioning attendees including artists Shag and Mookie Sato (that’s Mookie’s fabulous poster above), and author/historians Sven Kirsten and Jeff Beachbum Berry. 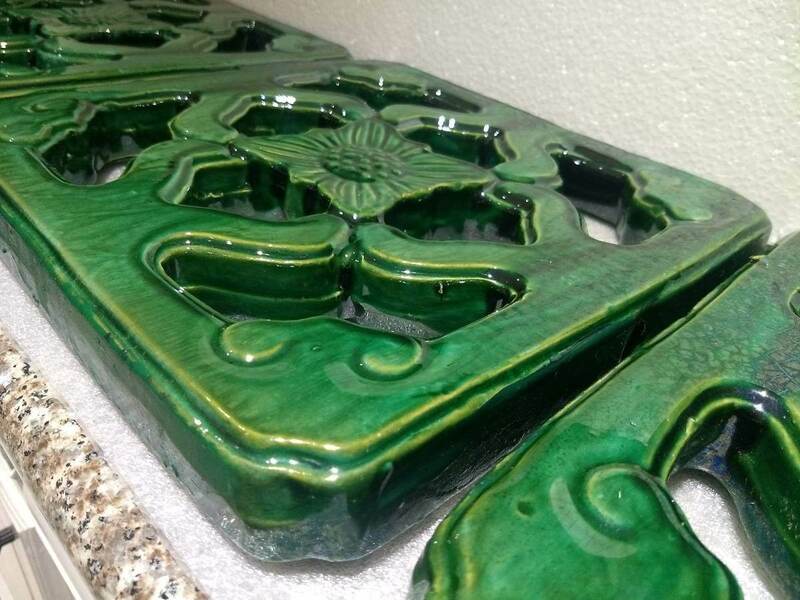 Pam Kueber of Retro Renovation is ready to reveal all the secrets of creating a world of Tiki in your home. Starting with six blank walls — yes, the ceiling matters, too! 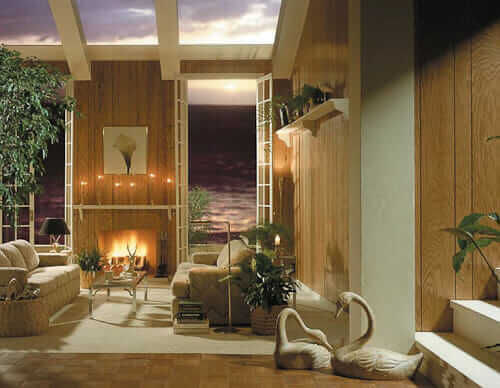 – learn how professionals tackle the process of creating a tiki paradise so that you, too, can transform any room in your house into your own great escape. Based on interviews with top professional tiki bar designers, along with countless hours of research to transform her living room & dining room into her own “Mahalo Lounge”, Pam has distilled this creative project into nine distinct steps. You’ll hear about tiki-theory essentials, design concepts, options for materials and where to get them, the big no-no’s, and more. Creating a home tiki bar can be an intimidating project – “more is more” here, but you can do it, if you take it step-by-step! Gulp, I need to finish my Mahalo Lounge. Deadlines are good! 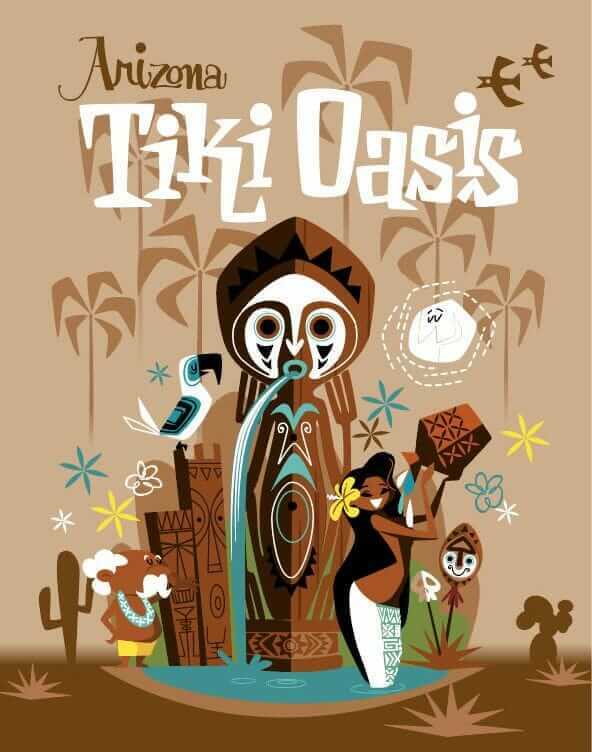 Welcome to ARIZONA TIKI OASIS April 12th-14th, an island lifestyle party in the middle of the desert in sunny Scottsdale. 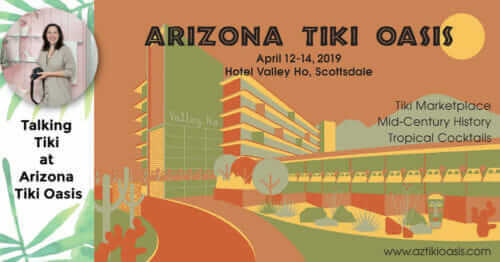 Arizona Tiki Oasis (AZTO) will be held at the immaculate Mid-Century Hotel Valley Ho resort in Old Town Scottsdale. AZTO is the sister event to the current, long-running and much-loved Tiki Oasis (San Diego, Summer 2019). Daytime events include a bustling Tiki artist marketplace, educational seminars, fashion show by Fashions of Robert Black, pop-up art show and of course tropical cocktails. There will also be opportunities for poolside lounging, spa treatments and local Mid-Century tours. In the evening, dress snazzy for adult activities including a poolside luau, rooftop parties, cocktail lounge style dinners, invitation-only suite-hosted events and late night dancing. Although many events will be all ages such as the marketplace and seminars, the overall event is adult-oriented. An international audience will make the trek to AZTO including famous Tiki artists like Mookie (Japan) and Shag (Los Angeles), as well as author/historians Sven Kirsten (The Book of Tiki; Tiki Pop) and Beachbum Berry (Grog Log; Sippin Safari). 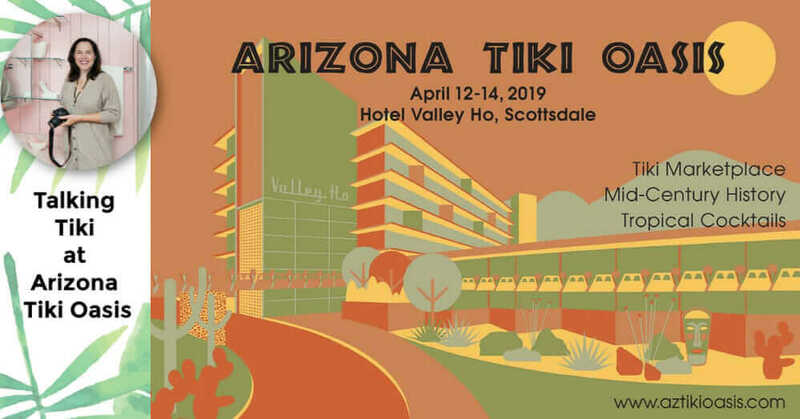 Tiki Oasis was founded to preserve a historic Tiki hotel so it is an honor that AZTO will be held at one of the best preserved Mid-Century hotels in America – Hotel Valley Ho (est. 1956). AZTO benefits Arizona Preservation Foundation. Over 20 Educational Seminars highlighting topics such as tropical cocktails, the history of Tiki inthe Southwest, Lounge music, Mid-Century architecture. Pin-up hair & Make-up and more! A continuous soundtrack of Tiki and Exotica music will be provided by local Lounge favoritesMoonlight Magic on Friday night, Los Angeles’ Martini Kings on Saturday night, and DJs all dayand night. Pop-Up art show featuring international Tiki artists. Arizona Tiki Oasis, April 12-14, 2018 – Scottsdale. 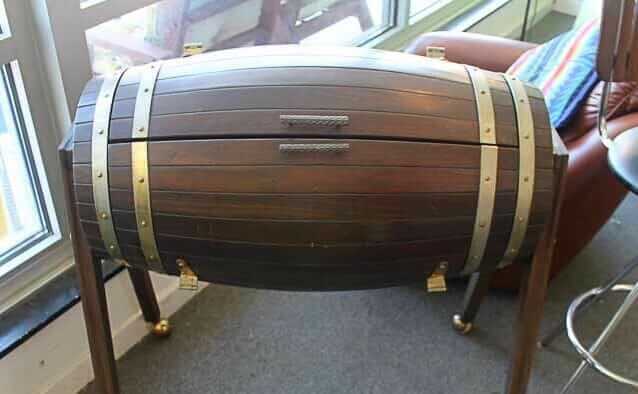 Portable mid century bar in a barrel — so cute! My husband and I are going and have registered for your talk. I’ve been wanting to go to Tiki Oasis for years and am delighted to have my first time be here in my home state of Arizona, and we’re so glad to attend your session – we can’t wait! Woot! Be sure to come up and introduce yourselves. My husband will be there too!